When a program stops responding, it can be difficult to close the application. Using the force quit option will close the program without requiring a computer restart. Step 1:On your keyboard, press the [Ctrl] + [ Alt] + [Delete] keys at the same time. Alternatively you can press [Ctrl] + [Shift] + [Esc] at the same time to skip directly to Step 3. Step 2:A blue screen will appear. 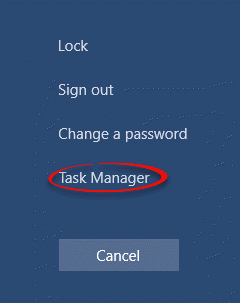 Select Task Manager. 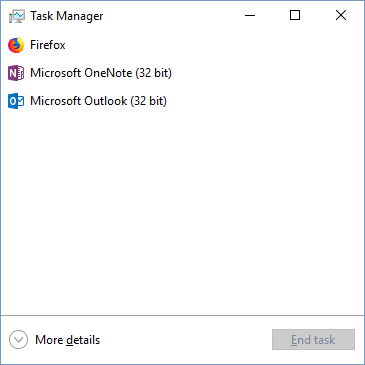 Step 3:Windows Task Manager will open. A frozen program will have the words "Not Responding" next to it. In this example, all programs are running without problems. 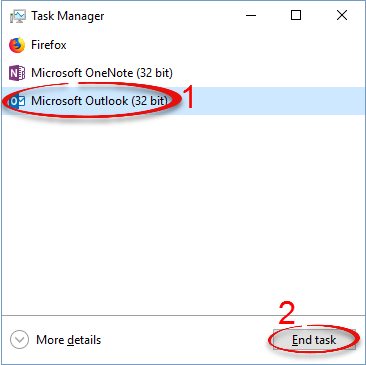 Step 4:Select the program that is not working and click End Task. Be very careful to only select the task that you want to close. Force quitting a different program can disrupt your current work or cause you to lose unsaved files. Step 5:The program will close. 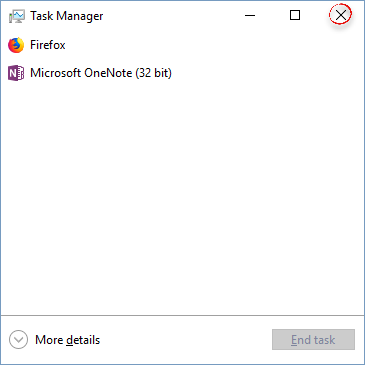 Click the X in the top right corner to close Windows Task Manager.